Autumn fall is a collection influenced by memories of autumnal walks within enchanting woodlands and forests. Fragile and delicate leaves tumble, flutter and dance in the wind, to fall upon the forest floor where they lie crinkly, curled, crisp and crumpled, illuminated by glimmers of light. 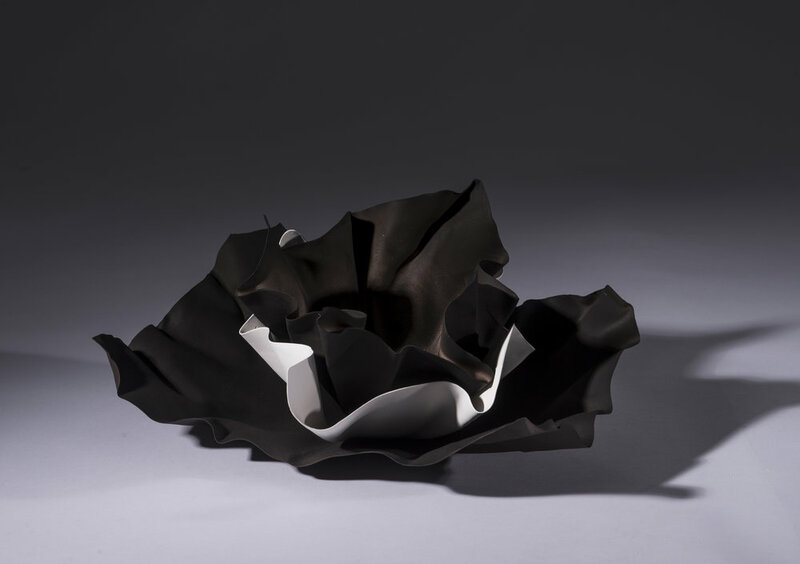 Sasha captures these compulsive qualities in porcelain and black clay to create handmade fragile sculptural forms.